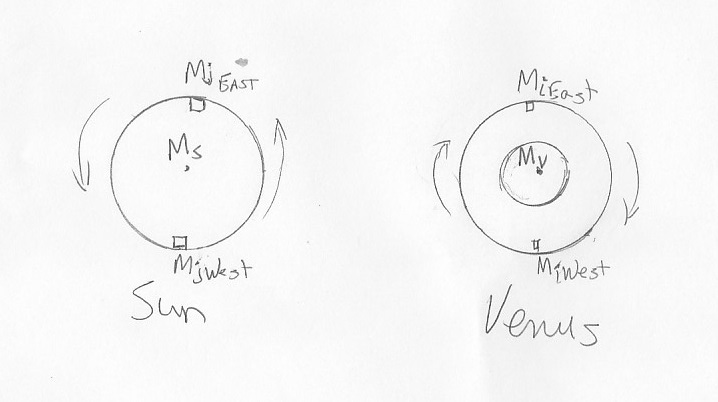 Let's take a top view of the Sun-Venus relationship. 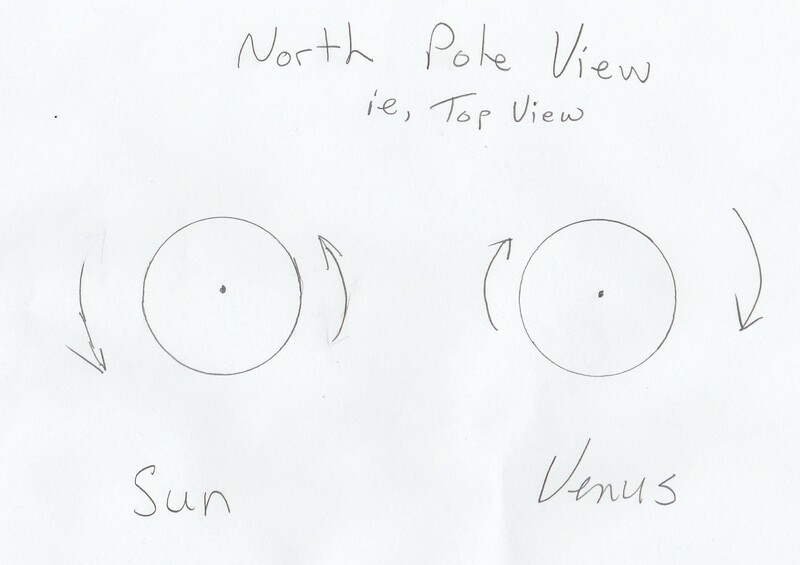 If we look at from a top, North Pole, view we would see counter spin between the Sun and Venus. The Sun's equatorial spin is considerably fast when you consider that we observe the rotation of the Sun about its axis to be roughly 27 days. We also know that Venus orbits in a prograde direction while spinning retrograde with an upper atmosphere moving faster than the planet's surface. Figure 2: Illustration of Mass infinitesimal. Illustration of super rotation of the Sun and Venus. 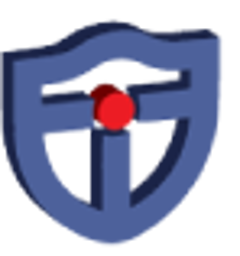 We previously introduced and depicted the FG ∝M1M2/R2 which led to the introduction of infinitesimal mass Mi. We also know that the very large MS is the main external gravitational influencer for Venus and the Venus atmosphere. Let's now introduce MiE and MiW. As illustrated above in Figure 2, we consider infinitesimal mass in Venus's upper atmosphere, where MiE refers to infinitesimal mass in the upper Eastern atmosphere and MiW refers to an infinitesimal mass in Venus's upper Westen atmosphere. We also see from the illustration that MiE is moving away from the Sun and MiW is moving towards the Sun as Venus rotates. We can now model these new infinitesimal mass gravitational attractions with the Sun by FGiE ∝MiEMS/R2 and FGiE ∝MiEMS/R2, where R is a mean orbital distance from the Sun of the planet Venus. This new infinitesimal feeling does not consider the velocities of MiE nor MiW, which cannot be neglected. We know the concept of escape velocity where you reach a large enough velocity that the gravitational pull of the planetary body beneath you is no longer dominating your gravity mass momentum trajectory. So let's improve the FGi model and agree that we can conclude that MiE and MiW are feeling the Sun's pull ever so slightly different. We now determine a model for their feeling with the Sun to include Velocity. and for MiW we see FGiW ∝(MiWMS/R2 + ViW). We now can see by simple math that MiE and MiW feel the Sun differently. 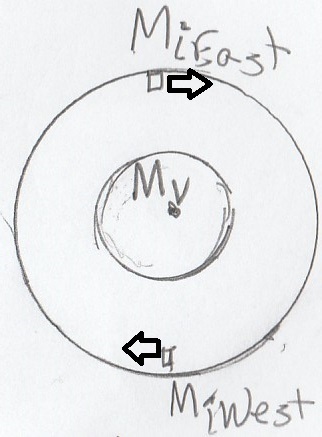 Base on our simplified orientations of mass infinitesimals the ViE solar vector is negative (-)direction while ViW would be in the positive (+)direction meaning towards the Sun. This shows that however large the magnitude of MiMS/R2, MiE feels less of the Suns gravity attraction than MiW. This is the driver for Venus's super rotation. If the upper jet streams have been measured approaching 400 km per hour, then there is a significant difference in the velocities of these infinitesimal masses with respect to the Sun. Further we can analyze MiE and MiW with respect to local gravity, temperatures and pressures of Venus. The slight lengthening of the Venus day is adding energy in the form of hotter day temperatures and cooler night temperatures. All of these factors create a gravity mass momentum engine resulting in the super rotation of Venus's upper atmosphere. If the atmosphere of Venus is super rotating, why is the surface appearing to slow down? As we previously discussed the planet Venus day is getting longer. That is the retrograde spin on its axis is slowing while the upper atmosphere seems to be going faster. The simplest explanation of this is pointed out previously (https://jarvislabs.com/gravity-continued-venus). 4. Refer to previous papers in this series for introductions and gravity mass momentum.